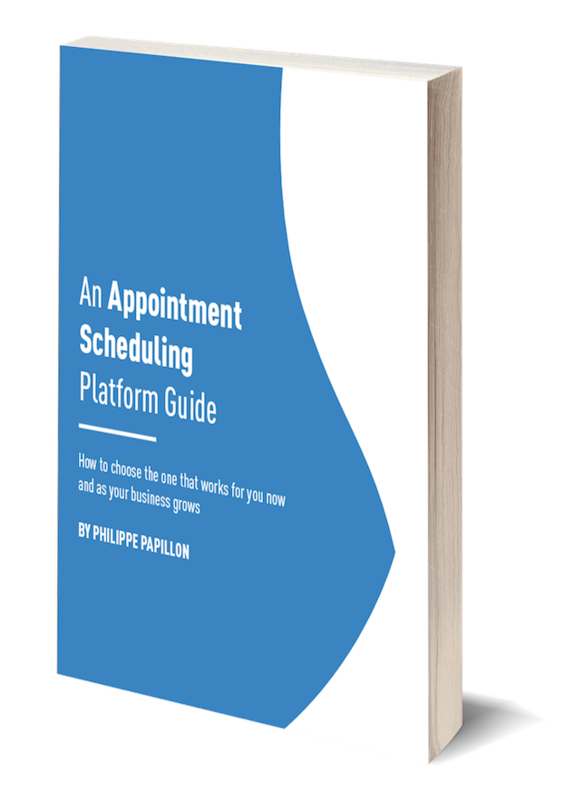 A complete and user-friendly appointment and class scheduling software made for small businesses. 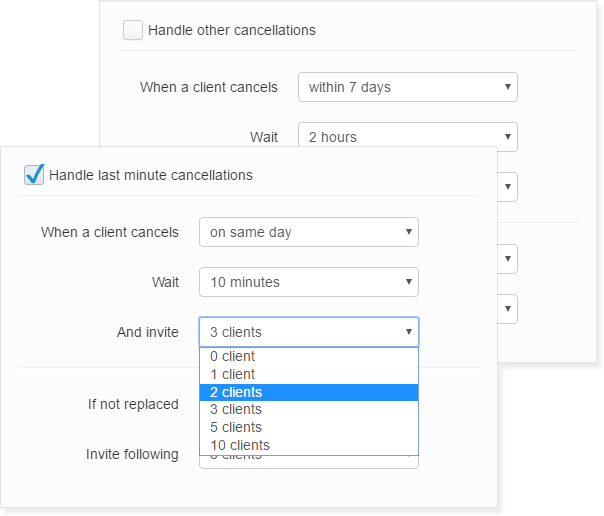 Automatic appointment confirmations, cancellation replacement and much more! 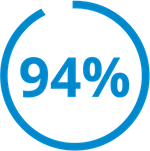 Did you know that 54% of clients abandon the booking process if you ask them to create a password? It’s an amazing, user-friendly and very reliable product! I often get feedback from patients telling me about how much they appreciate the system. Thank you to the entire team for the excellent service! Big big thank you!!! You work hard to attract new clients. 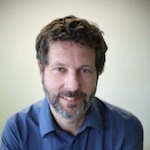 Don't lose potential clients by sending them to your voicemail. Let them complete their reservation, any time of the day, with online booking. Before booking an appointment, a new client wants to ensure that you are great and that you offer a great service. That's why they look for reliable ratings from real clients. We automate the process for you and we post your overall rating in Google search results. 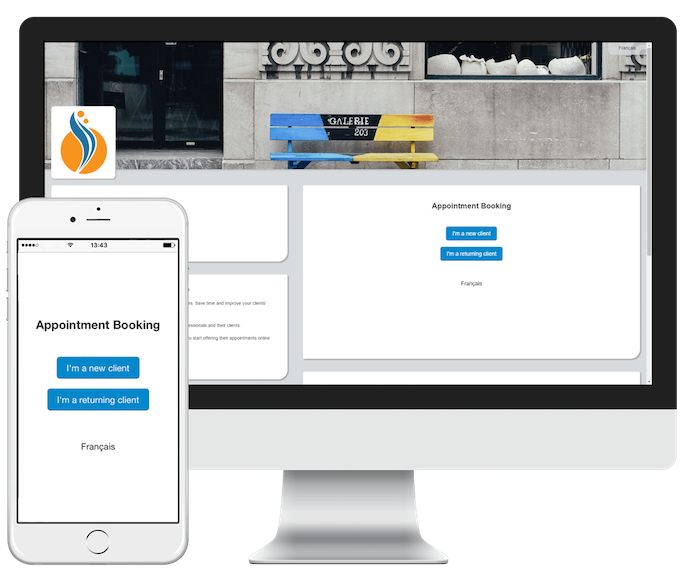 We automatically replace cancelled appointments by inviting the clients on your waiting list that are available at that time. 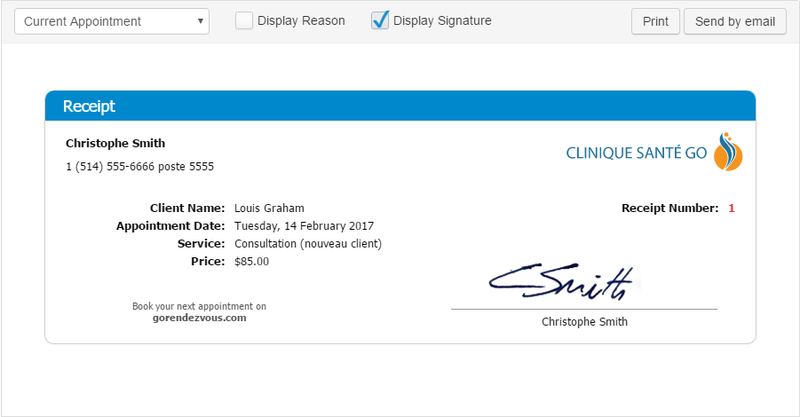 A few of days before every appointment, we send your clients automatic reminders by email and SMS. They can confirm their presence in a single click. Send your receipts by email to your clients in a couple of clicks. You can customize your receipts according to your services. 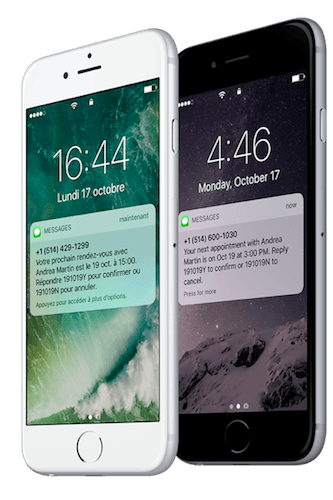 Avoid no-shows and the revenue loss with automated reminders. One less no-show a month can cover your monthly subscription. Guarantee revenue by collecting a deposit or the full amount at the time of the booking.